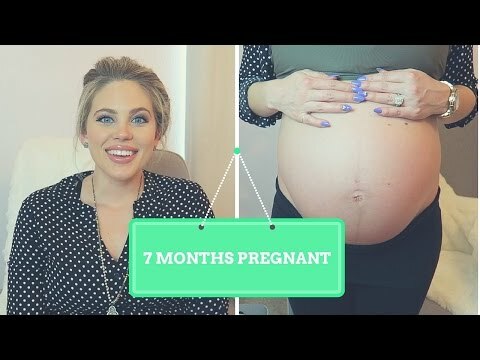 Here is my HONEST twin pregnancy story from beginning to end. I love how honest you are. 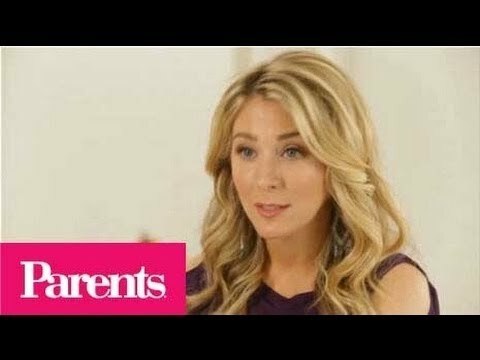 Most mommy channels on here tend to sugar coat or try to make their story seem like a fairytale, which I hate. Thank you. Exactly! Everything is exaggerated! I felt that way too. Oh the hip pain!!! I have identical boys and I still remember that pain! I then developed restless leg syndrome and anemia. Hardest pregnancy I had. Totally worth it but very hard. We have girl and 3 boys. Thanks for sharing your story. Congratulations! Thanx 4 sharing. I’m carrying twins right now. I’ve had a different experience. I haven’t been very sick. I can agree with you that the symptoms are magnified. When U mentioned feeling different I had the same feeling. I told myself either I’m further a long or I’m having twins. Then I had the vaginal ultrasound and there was the two fraternal twins. Huge shock! I’m feeling good. I’m praying my luck won’t change! Thank you so every much for shrine. am pregnant & I was it new abut all this. just good to now. I have 8 year old identical twin girls and my twin pregnancy was, far and away, the most difficult thing I ever went through. I had hyperemesis and ended up on disability with a reglan pump, migraines, pregnancy-induced carpal tunnel and sciatica….good times I didn't find out until my 20 week ultrasound that I was having twins and was told they were fraternal (separate sacs and placenta) but had a twin zygosuty DNA test done in my girls when they were 7 minths and found out they were identical (which was already rather obvious). Twin pregnancy was hard and its refreshing to hear a real-life story about it. Thanks for sharing. i found out i was having a girl with my second daughter at 11 weeks. I have twins who will be 9 months tomorrow and everything you are explaining was my experience! 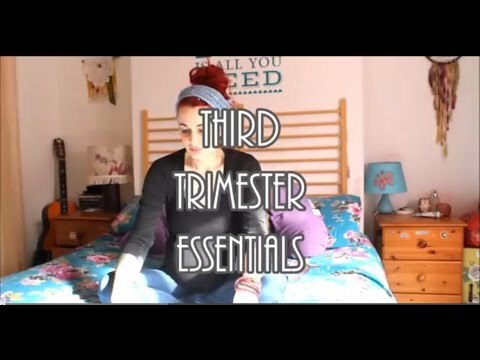 I just came across this vlog and would like to share my twin birth story. My husband and I have 13 year old twin girls. Our son was 4 when they were born at 35 weeks. We were thrilled and shocked to find out we were pregnant with twins. Should not have been given my grandmother had three sets of twins, my aunt had triplets, my sister had twins and several sets of twins within my mother's side of the family as well. My pregnancy was pretty easy and dare I say effortless…until 29 weeks. At 29 weeks, I had a pretty full day including an afternoon ob appointment. I told her that I was having some "tightness" in my belly…but only when the babies were active and moving. She confirmed what I told her was most likely my girls wrestling for space. As I was leaving, she said…you know what, I'd feel better if I checked your cervix…so I got into the stirups and she checked me. The look on her face told me everything I need to know which was…something isn't right. My cervix was 6 cm dilated. I was indeed in labor. She immediately admitted me to stop the labor and give me steroid shots to help my girls underdeveloped lungs. I was told it would be just an overnight stay. The next morning they confirmed that they had been able to stop my labor with medication, but before I could go home to be on bed rest for the remainder of my pregnancy, they wanted an ultrasound. It was at that time that I was told that baby A was footing breach.Her foot was in the birth canal and could break my water at any time. I was told I wouldn't be leaving the hospital until my girls were born…and if my water does break, they would put me out and deliver the girls by c-section right there in my hospital room. They would have only 3 minutes between the time my water breaks and my girls would be delivered. I spent 7 weeks in the hospital on my back. Many asked how I was able to do this for 7 weeks and not go nuts. It wasn't always easy…remember, our son was 4 and I missed him terribly. He was fine at grandma and grandpa's. He was having fun and was safe. My husband had it the hardest. He'd go to work at 6am until 6pm, come straight up to the hospital to have dinner with me and then go to his parents to tuck Hayden in and say goodnight. He and Hayden would spend the weekends with me too. I cherished my weekends with my two boys!! The hospital I was at took great care of their long term maturity patients with foot massages and haircuts, and the nurses who cared for me during that time, were nothing less than spectacular. I still consider many of them friends and see them often. To most it, what I went through should of been awful and I've heard many times that a 7 week long hospital bed rest and stay would of been the worst.. The worst for me was the thought of having sick preterm babies or God forbid, loosing one or both or my husband and son loosing all three of us! Not always easy…but I was determined to do what ever was needed to keep them safe! It's what we do as parents. My due date was May 17th. 2004. On April 12th , 5 weeks early, my doctor decided it was time to for them to come into this world..and they did! Baby A…Avery McKenna(the trouble maker) was 4lbs 9oz and Baby B, Addison Mae, was 4lbs 11oz. Small, but healthy. I spent another week in the hospital recovering and my girls spent 8 days. I was told to expect delays and that we could expect learning disabilities. They caught up in weight and height by 2 months old and are in accelerated classes in 8th grade. My girls look nothing alike, Avery is short, 5'4" height and has short blonde hair. Addison is very tall, 5'11" and has long dark brown hair. Avery is a fighter and sticks up for the underdog and tells it like it is when needed…but is shy. Addison, is very outgoing, very motherly, wants everyone to be happy and included and content. Their family, friends and relationships with others matter. But. Mostly, their relationship with one another matter to them. Although they barely look like siblings…much less twins, they always make sure people …mostly classmates and teachers who don't believe they are twins, know that they are twins and how proud and how special and how lucky they are to have one another. After the girls, we tried for 5 years for another baby, including fertility treatments. I was told that I'd never be pregnant again…and frankly, we were exhausted and was so very blessed with our three kids. A year after we stopped trying, I got pregnant with our youngest daughter, Reagan. She is 6 1/2 years younger than the girls and 10 years younger than her brother, but she has made her place in this family! Anyway, a looooong way of saying that it wasn't always great and easy and I have had a few…"not my finest parenting" moments. But no matter how hard it gets or was, we do what we have to do, as parents to raise good, compassionate kids and we do what we need to do to keep them safe at any age. Sorry this post is a lot…but I'm so proud to be the mom of twins!! You are an awesome story teller and being genuine makes the journey relatable…of course my sons are 12 & 19..lol/ it happens in a blink! My twin girls are now 10 years old. I totally relate to your story and I am thankful for my girls but would never choose to do it again.